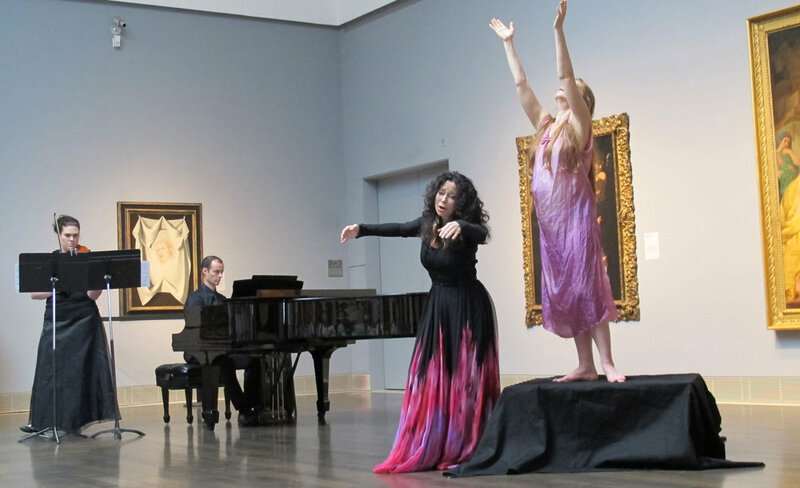 Misha Penton, soprano, concept, director, producer, libretto. Music by Dominick DiOrio. 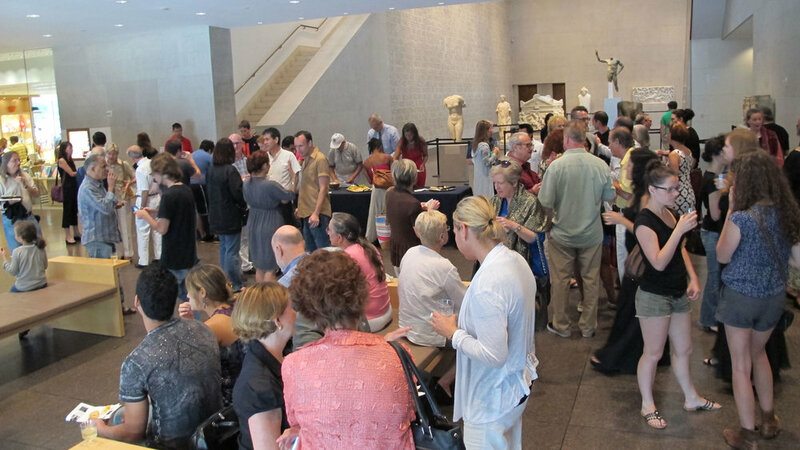 Klytemnestra is based on Greek playwright, Aeschylus’ work, Agamemnon (458 BC), and is one of three plays comprising his trilogy, The Oresteia, telling the tragic familial events of the House of Atreus. 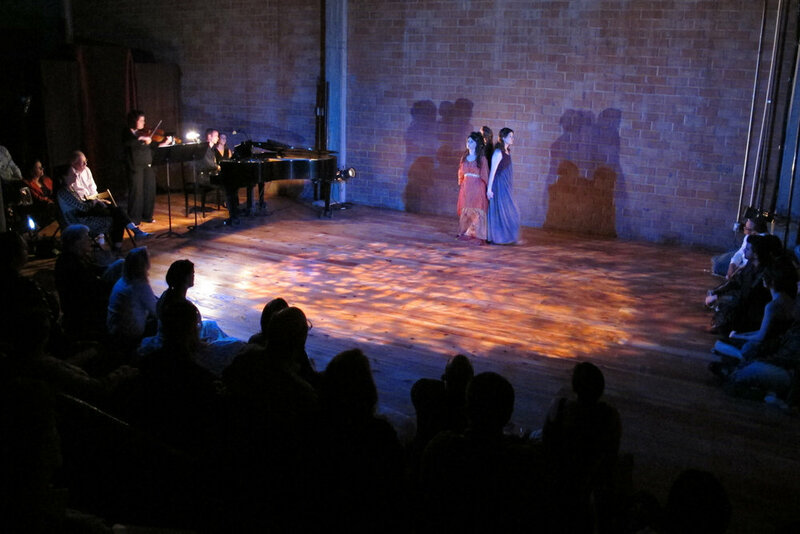 Composer, Dominick DiOrio has set my words to music, and they wriggle from inky scribbles on a page into the soaring vocal embodiment of, arguably, the most influential and subversive Greek Heroine in all of the Greek plays: Klytemnestra. She stands against the polis, against the emerging male-ordered, linear, dualistic state; against the forming patriarchy that will define our culture (for women and men) for thousands of years after her time. She possesses the inherent potential of subversive expressivity in body, voice and word, and thus the power to entirely restructure the male paradigm of society. Her murder of Agamemnon is a symbolic rejection of Order and an embrace of Chaos - a metaphoric release from the confining limitation of societal acquiescence to power-over. 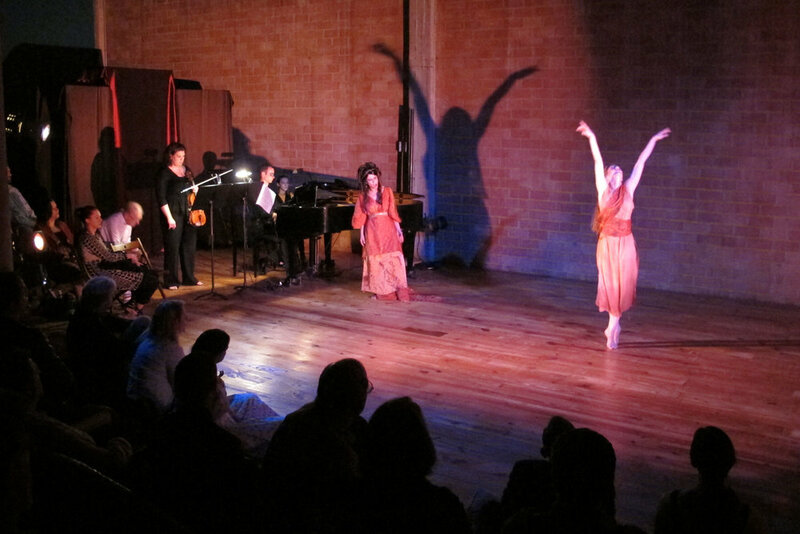 I asked Dominick DiOrio to set my words to music - and with Mozartian brilliance my words wriggled from inky scribbles on a page into the soaring vocal embodiment of, arguably, the most influential and subversive Greek Heroine in all of the plays: Klytemnestra. She stands against the polis, against the emerging male-ordered, linear, dualistic state; against the forming patriarchy that will define our culture (for women and men) for thousands of years after her time. She possesses the inherent potential of subversive expressivity in body, voice and word, and thus the power to entirely restructure the male paradigm of society. Her murder of Agamemnon is a symbolic rejection of Order and an embrace of Chaos - it is Joy Unleashed, Metamorphosis Complete - a release from the confining limitation of societal acquiescence to power-over. And now, the Tapestries are laid: follow their never-ending purple into The House of the Family of Atreus. Klytemnestra - The Original Subversive Female Scene 2 - Deception-Attraction. 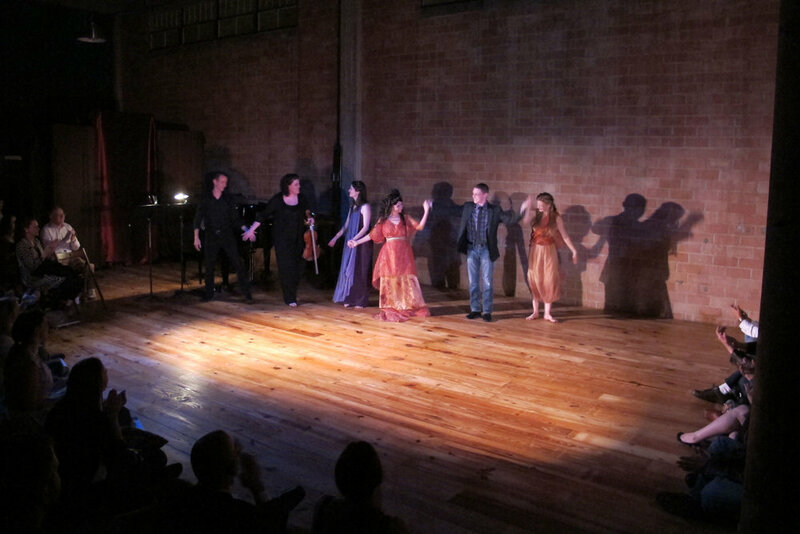 Dominick DiOrio, composer Misha Penton, soprano, concept, libretto, artistic directior, producer. 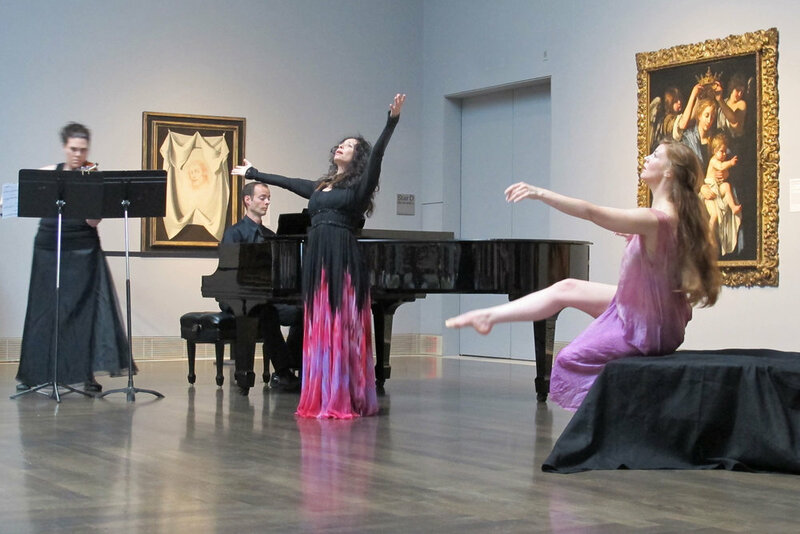 Meg Brooker, dancer Meredith Harris, viola Kyle Evans, piano June 10, 2012 Museum of Fine Arts Houston. Where were you when he dropped her on stone like an animal and slit her open? Where were you when time fell to banish him to dark roadways? 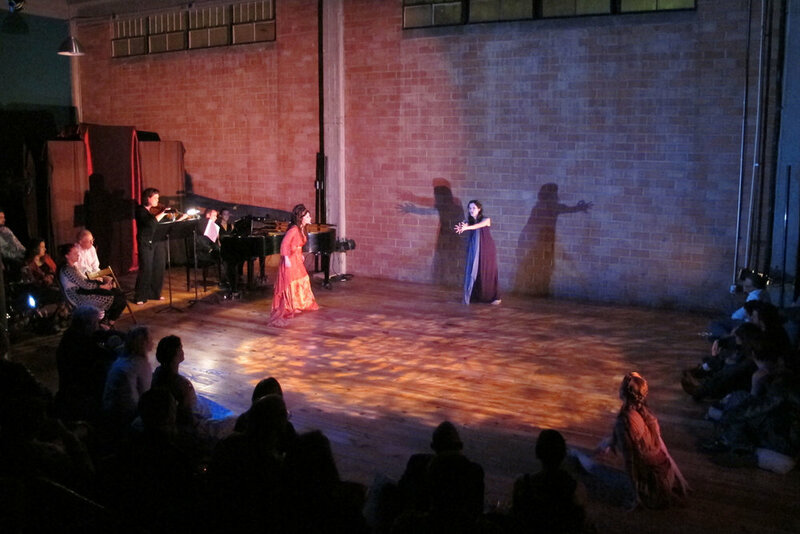 Prologue/Scene 1: Obsession: Klytemnestra is Queen of Mycenae. Her husband, the Trojan War hero Agamemnon, has sacrificed their daughter, Iphigenia, to secure his victory in war, and has been at battle for ten years. 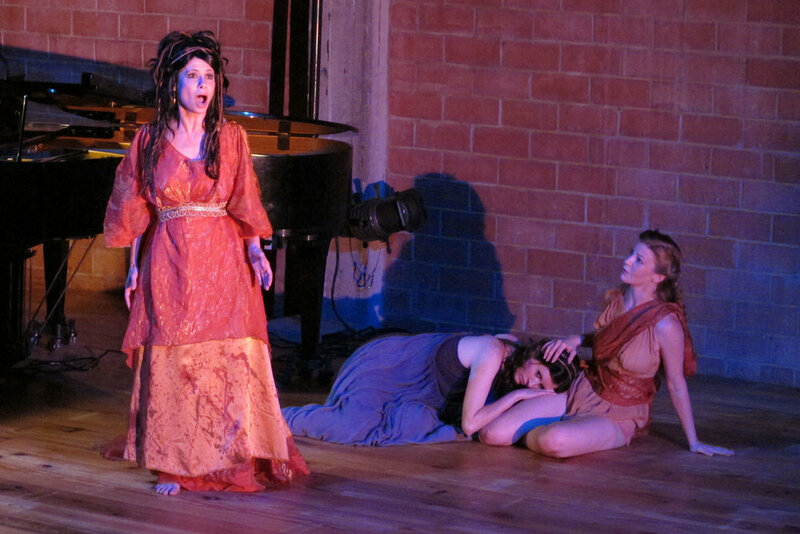 In Agamemnon’s absence, Klytemnestra paces the halls, ruling and haunting the palace with her grief. 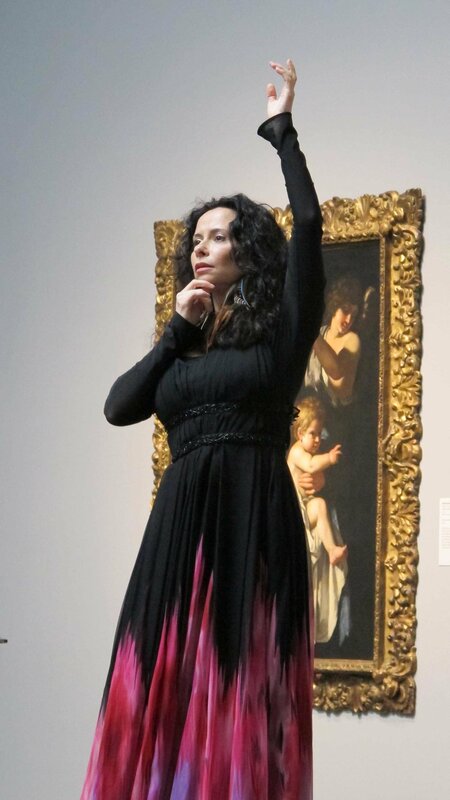 Scene 2: Deception/Attraction: As signal fires light the hills, heralding the Greek victory over the Trojans, Klytemnestra awaits her husband’s return. 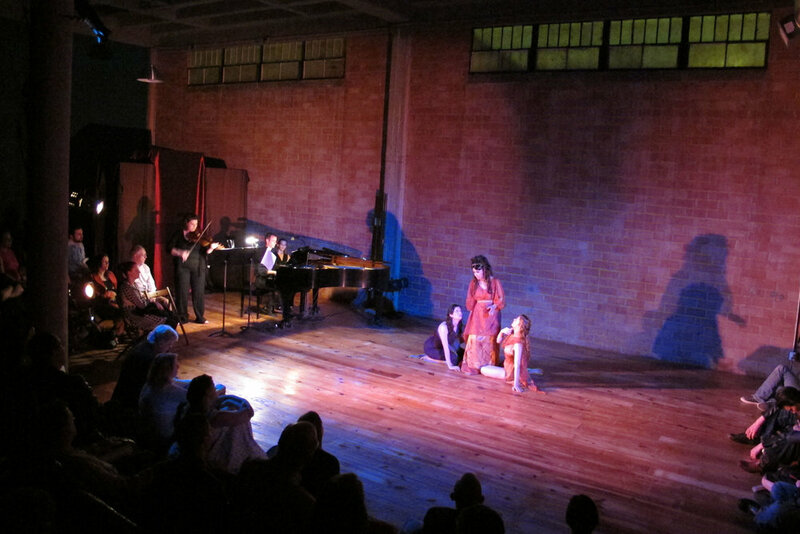 Scene 3: Weaving Aria: Empowerment: Agamemnon returns and Klytemnestra lays the sacred tapestries of the House of Atreus at his feet. She invites him to walk upon them, entrapping him in a curse. 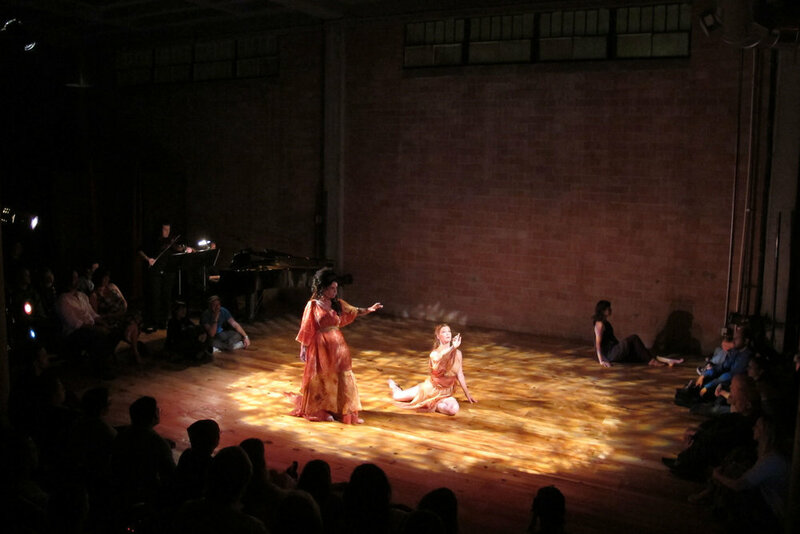 Scene 4: Iphigenia’s Song: Klytemnestra remembers her daughter, Iphigenia, and her grief fuels the seduction of Agamemnon. 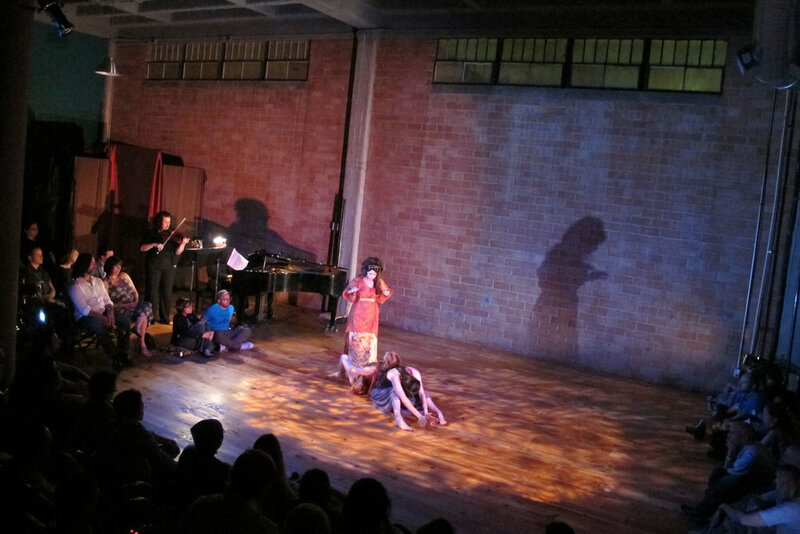 Scene 5: Klytemnestra murders Agamemnon in his bath. Her deed does not quell her grief over the loss of her daughter, Iphigenia. Ultimately, their son, Orestes, will return to avenge is father.